Sunita Chand of Bhimdatta Municipality-10 being taken to hospital on Wednesday morning. DHANGADHI, March 15: A woman of Kanchanpur district has been attacked mercilessly for refusing a marriage proposal. 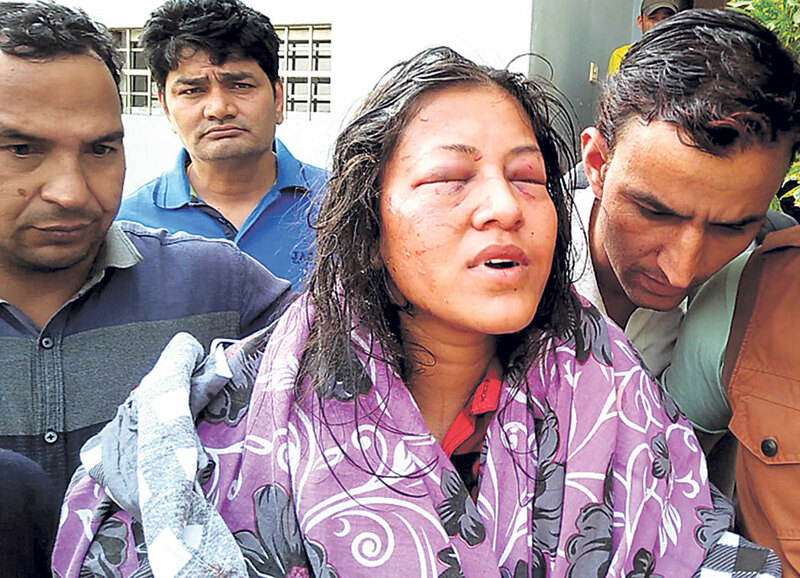 The perpetrator attacked in her eyes and poured hot oil in her face. Rakesh Chand of Bhimdatta Municipality-5 attacked Sunita Chand of ward 10 of the same municipality on Wednesday morning for refusing his marriage proposal. According to the victim's family, Rakesh used the oil that was being heated at her home to perform puja to attack her. He fled the scene after thrashing her mercilessly. “Rakesh had been entering our home to pressurize her for marriage,” said the victim's brother Shankar Chand. The victim was immediately taken to Mahendranagar Eye Hospital for treatment. She was then referred to Geta Eye Hospital due to the severity of her injury. 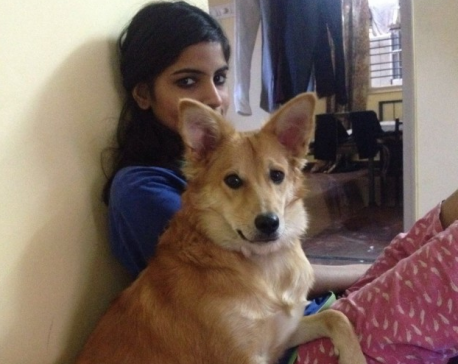 According to her brother, she has been brought home after undergoing treatment at the hospital. “The treatment and applying ointment has relieved her pain. However, she has not been able to open her eyes yet. The hospital has told her to come for regular treatment,” said Sunita's brother Shankar. Sunita's mother Jayanti Chand said Rakesh also attacked her. The family has demanded stern action against Rakesh, who is still at large.